A gentleman needs breakfast. They say it’s the most important meal of the day, but we reserve that title for the snack we have between 10.30 and 11.00 when the canteen does bacon butties. However, it is undeniable that today’s time-poor gents often skip breakfast and rush out of the door in the morning clutching a half-eaten slice of toast, with a cup of instant coffee sloshing around inside him. 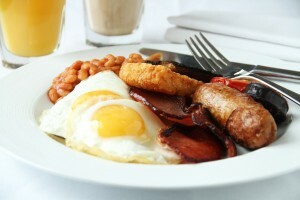 The proper gentleman will make time in the morning for a proper hearty breakfast that will set him up for the day. And by hearty, we don’t mean the brand of sugar-laden cereal that is currently offering the best free gift down you local supermarket. This will not do. 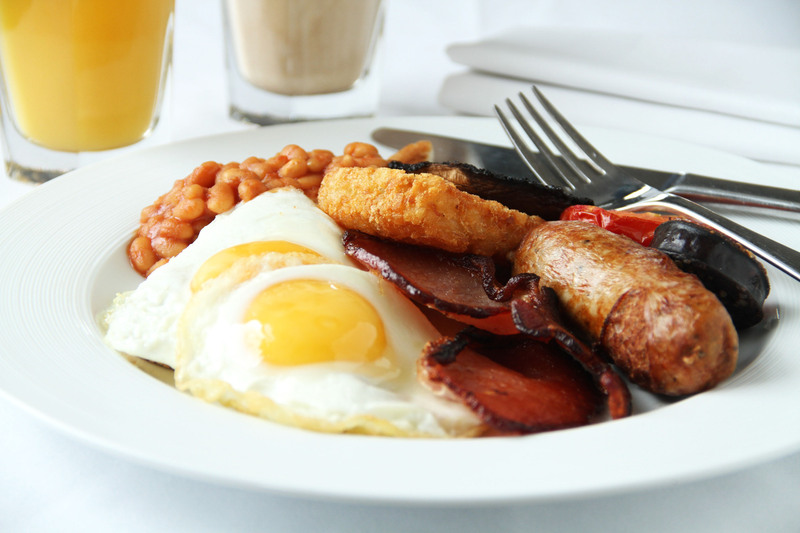 The fry-up speaks for itself. Any gentleman worth his salt is able to fry a couple of eggs, grill a few sausages and bacon, and present it on a plate with toast, mushrooms and a freshly-brewed cup of tea. If you cannot do this, then ensure you know the address of your local transport café and learn from observation. However, the true gentleman’s breakfast is kedgeree. Brought back to these shores after our doomed ownership of the Indian sub-continent, kedgeree is a fine breakfast that also doubles up as lunch or supper, thus making it the most versatile of meals. It’s quite simple. Hard boil a couple of eggs, and chop into pieces. While you’re at it, boil some rice, and a bit of haddock. Chop up the fish, mix everything together, and heat through in the pan. For a bit of flavouring, experiment with your spices. Some gents prefer a dash of curry powder, while other chaps like the kick of a bit of paprika. Or you might want to pad it out a bit with a diced onion and a crushed glove of garlic. This makes kedgeree a meal that’s never the same twice. In fact, it was much-loved in the Raj for using up leftover food from the night before, which means that you’re half-eaten curry still has a use beside taking up space in the fridge. Thus, rammed full of kedgeree, breath reeking of old curry, you are ready to face the day.